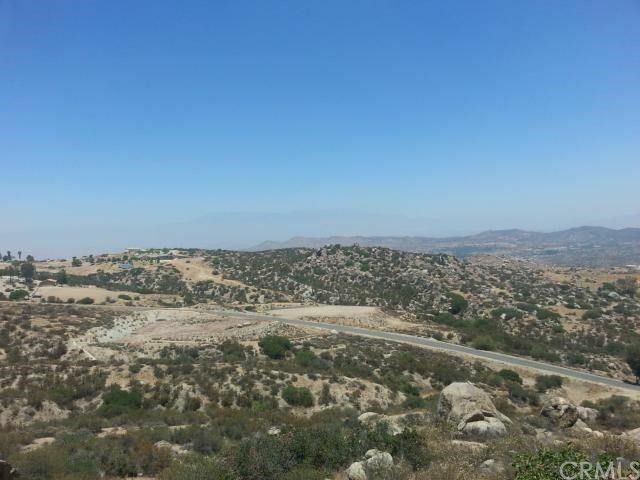 UNIQUE 5+- ACRE VIEW LOT "The Ranch @ Sky Mesa", Southwestern Riverside County. Lot 16, tract 1. Driveway leads to large CERTIFIED/ENGINEERED PAD. District water. PERK TEST COMPLETED! Propane & septic tank area. Underground utilities in recently newly paved streets. Four horses allowed. CUSTOM PLANS available for review. 5+ acres w/ 2800 sq ft.+ homes & 3 car+ garages. No mobile homes. 2500'+- elevation. Features high-tech cameras @ gates. Buzz in guests. 500 acre community w/ 77 lots. Three custom homes just Closed within the gates of Sky Mesa just this year! All Closed over 1/2 MILLION Dollars! The only Prestigious Gated HOA Community for miles! Private, yet close to existing shopping and services with more coming soon! Newport Road unbelievable new development on East and West sides of the I-215 and "The Villages of Lakeview" planned on the North and South sides of the Ramona Expressway, just minutes out the security gates. Easy access to I-215, Hwy 74 & realigned Hwy 79, leading to Highway 60 and the I-10. This amazing VIEW lot has a *CERTIFIED/ENGINEERED PAD REDUCES COST, RESEARCH, TIME, & RISK FACTORS (UNKNOWNS)! Build your custom primary or second home. Build or Hold! OWNER MAY CARRY!